You can create an attach panel and manage events related to user selections and panel visibility. You can also add and remove content categories. You can also create an attach panel in xamarin by using Custom Renderers. You can set extra data to a content category to manage its content. The attach panel has half and full display modes. The mode can be changed by swiping up and down the page. 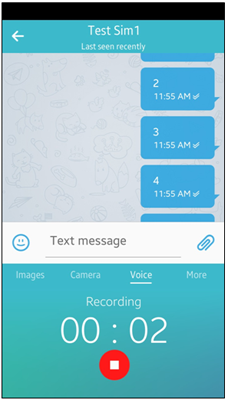 The More tab shows the icons of additional categories, for example, video, audio, calendar, contact, myfiles, and video recorder, that can be launched by clicking the applicable icon. The following figure illustrates the content types. From left to right: images, camera, voice, and More tab content. 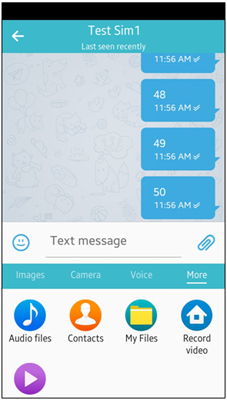 Get the Tizen platform conformant. 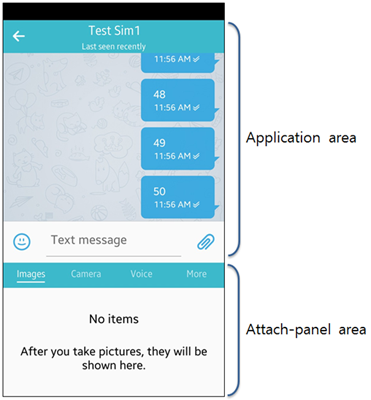 Create an attach panel using the Tizen.Applications.AttachPanel.AttachPanel class. When the attach panel is created, its state is hidden by default. 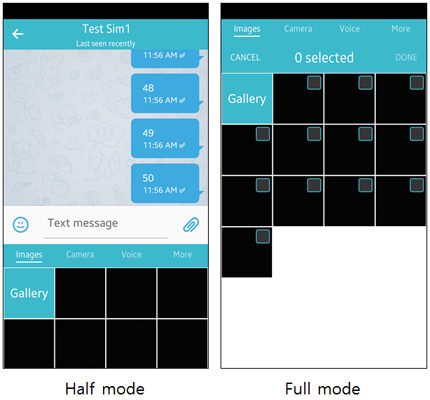 To show the created panel, use the Show() method of the Tizen.Applications.AttachPanel.AttachPanel class. Based on the type of content you want the user to be able to select for the attach panel, add content categories using the AddCategory() method. The available content categories are defined in the Tizen.Applications.AttachPanel.ContentCategory enumeration. Note To use the camera content category attachPanel.AddCategory(ContentCategory.Camera, null), you must verify the video call status. 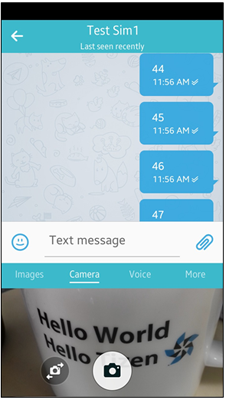 To launch the camera, the video call status must not be active. 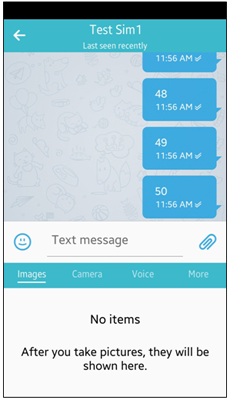 To verify the status of video call, Telephony API telephony_call_get_type() is called, ensure that the telephony privilege is added to the tizen-manifest.xml file. To access the data that the user selects in the called application, register the ResultCallback event of the Tizen.Applications.AttachPanel.AttachPanel class and define an event handler for it. The event is triggered when the user selects and confirms something to attach on the caller application. In the event handler, you can retrieve the selected items from the Result.ExtraData property of the Tizen.Applications.AttachPanel.ResultEventArgs class. To monitor published events from the panel side, register the EventChanged event of the Tizen.Applications.AttachPanel.AttachPanel class and define an event handler for it. The event is triggered when reserved events (defined in the Tizen.Applications.AttachPanel.EventType enumeration) are published from the panel side. In Tizen, BaseLayout.Parent is the conformant of the main window. The following example creates an AttachPanelLayout custom control, which is a custom renderer showing the attach panel in the ContentView. The control also has the IsAttachPanelVisibleProperty property, which determines whether the attach panel is shown or hidden. To manage an attach panel content, you can set extra data to a previously-added content category through a bundle. Use the SetExtraData() method of the Tizen.Applications.AttachPanel.AttachPanel class.